I could hear this bullfrog calling all evening several springs ago. So I yelled at him to come and visit me and I will give you a kiss. The next day my Husband ran into the house and told me there was a huge frog in our garden and it wouldn’t move. I went to take a look and there was the big old bullfrog I heard the other evening. He just sat there, we looked at him for a couple of minutes, I reached down and picked him up. He just sat in my hand looking up at me. He was waiting for that kiss I promised him. 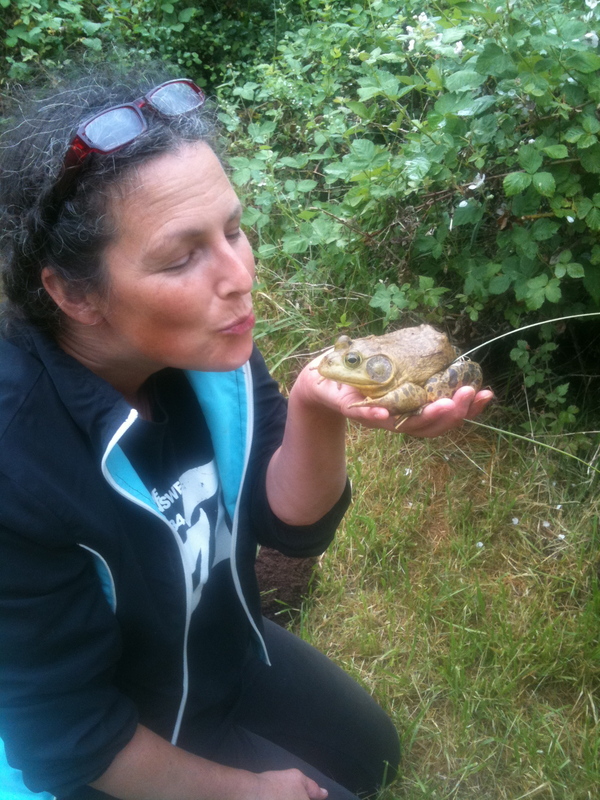 I kissed a frog and I liked it. Thank you, I will never forget this happy moment. He was so calm, just sitting there and there was nothing wrong with him!